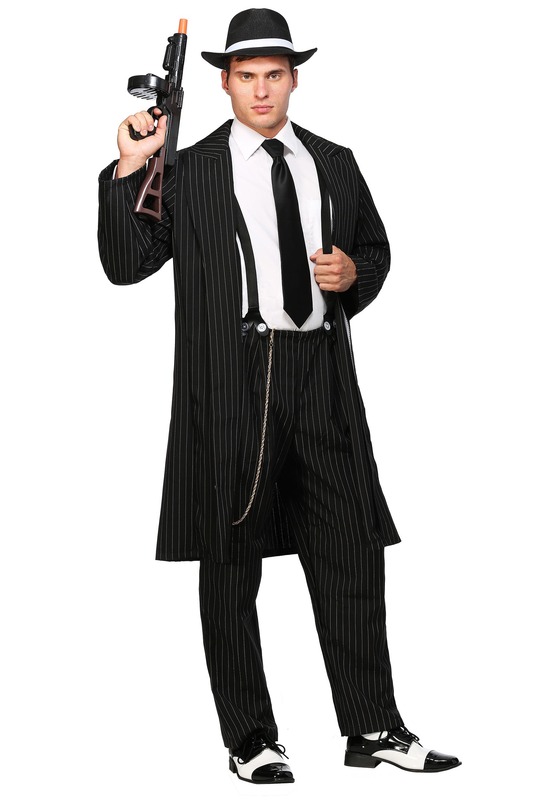 This Men’s Wide Pin Stripe Gangster Costume recreates the 1920’s speakeasy style. 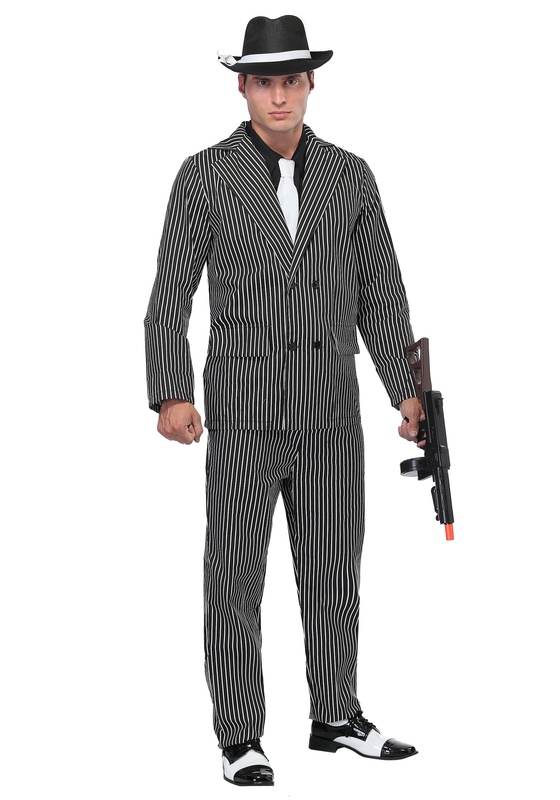 A stylish adult gangster costume that comes in sizes medium to x-large. SKU: 549977279 Categories: 20's Costumes, Gangster Costumes. Tag: Adult Gangster Costumes. And what a sight it is! Your costume’s classy jacket and pants make (crime) waves with their matching wide pin stripes. 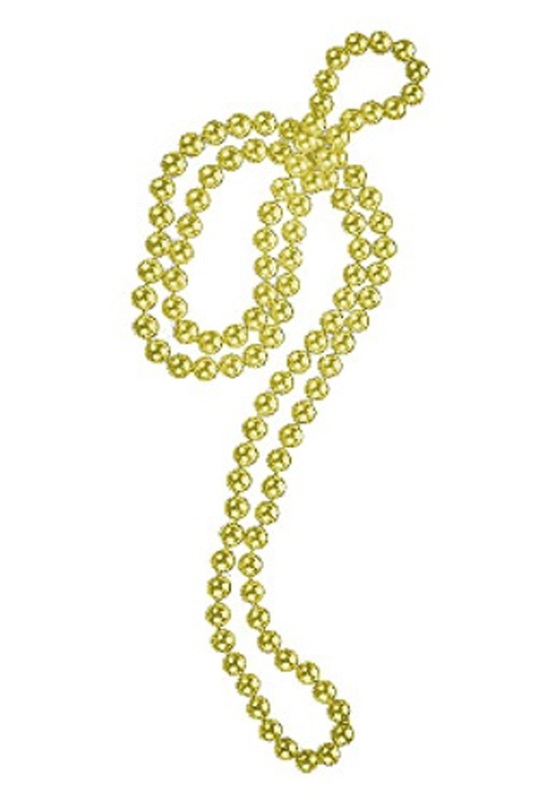 You can pair it with a black shirt, white tie, and wingtips, or come up with you own cool combo. Top it with a fedora, tommy gun, and maybe even a (fake) scar or two on your face, just so folks fully understand that you are not to be messed with. And if anyone snitches that the scars aren’t real, well…we know just who they’ll be answering to.